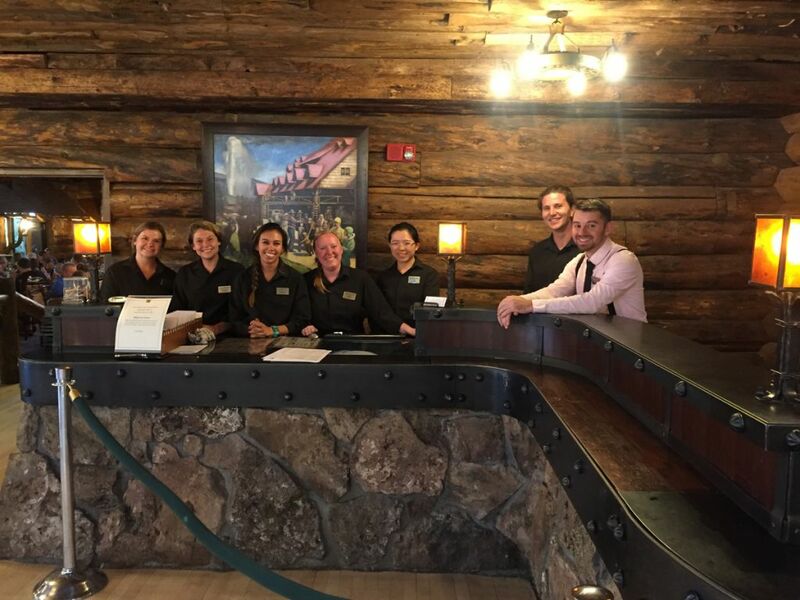 Prior to working as a Server Assistant and Host at the Old Faithful Inn (OFI), I had never really worked within a Food and Beverage (F&B) department. I mean, yes, I had been (and still am) a barista, but to me that didn’t really count – at least not on the same magnitude that working at OFI did. Those first few days on the job were absolutely overwhelming, but they were also a bunch of fun; I met some of my best friends during that first week, and I am still in contact with most of them to this day. Food and Beverage is a department like no other, and hopefully this gives a little bit of insight on the crazy yet great experience that is the F&B department! F&B is unique in that you don’t work normal hours like the housekeeping department or even reservations crew, to an extent. Instead, your hours are built around mealtimes, thus you will often go to work way early in the morning before anyone else and/or leave work way after everyone else has gotten off for the day. This can sometimes be slightly frustrating because you might have to miss trips put on by the Employee Recreation Program or movie nights hosted by your dorm, but it also makes you closer to your coworkers because you often end up hanging out with each other outside of work due to your similar schedules. Through my two summers in the park, I have been able to help in various capacities to make a guest’s vacation go beyond their expectations. For example, I got to help decorate a table for a ‘surprise’ birthday party (balloons and confetti included) and even got to assist in and watch an engagement. But, the moment that sticks out to me the most was this last summer – I was working a breakfast and seating a family made up of a mom, dad, and a child. I was talking to the child about their vacation and what they wanted to see in the park; when they told me how they hadn’t seen a bear yet, I acted like I had a ‘secret’ and whispered how a lot of people had had luck seeing the mama black bear with her three cubs up by Roosevelt. Later that night, I saw the family again at dinner, and the child ran up and very excitedly told me how they saw the bear I was talking about and how it was ‘the best thing ever’! Moments like that make the craziness of working in FnB worth it! I know, I know, its cliché, but working with the Food and Beverage department at Old Faithful changed my outlook on the world. Working within F&B taught me the importance of hard work, of never giving up when the going gets tough, and that sometimes the things with the most rewarding experiences seem like the hardest to get through. It taught me that there is good in the world, that people are genuinely interested in your ‘story’ and how you got where you are, and that some of your best friends can come from the most unexpected places. But the biggest thing that working in the F&B department taught me is that working in the hospitality industry is a hard yet rewarding experience – it has made me consider going into the industry after I graduate in May. Being an F&B employee will shape you in ways that you can’t even begin to imagine – but it is so worth it! Emily Beeland is currently a senior at Wake Forest University in North Carolina. She is double majoring in Sociology and German Studies, and is involved in the student run coffee shop on campus, Campus Grounds, as well as the rock climbing team. Upon graduation, Emily hopes to further her interests in writing and travel by finding a job that allows her to do both. 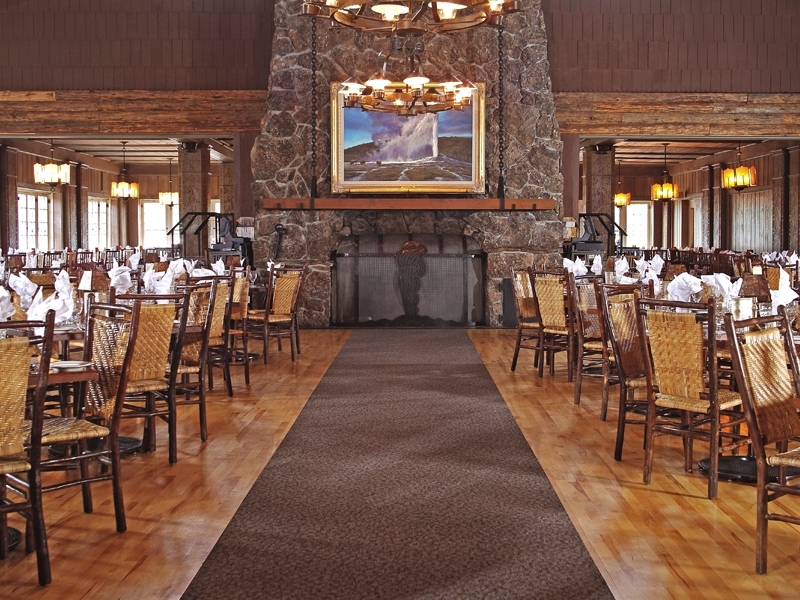 During the summers of 2017 and 2018, Emily was a Host at the Old Faithful Inn Dining Room. She is an avid lover of hiking, reading a good book, and spending time with her dog.